KENNETH B. LANDIS, 83, of Tabernacle, NJ, passed away on Thursday, August 23, 2018. Born in York, PA, he is the son of the late Phillip W. and Sadie (nee Minnich) Landis, and is predeceased by his first wife Regina Landis. Ken attended William Penn High School in York, PA and worked as a Truck Driver for St. Johnsbury Trucking Co. of York, PA. He was a member of the Central Pennsylvania Teamster’s Union and the Starview Sportsmen’s Association in York, PA and enjoyed hunting, fishing and camping. He was a regular attendee at Shawnee Baptist Church. Kenneth is the Beloved Husband of Peggy R. Landis (Nee Heiges) of Tabernacle, NJ, and is the Loving Father of Barbara Baublitz (Scott), Rita Kessler (Richard), Rodney Landis, and the late Loretta Stonesifer and Wanda Nispel. 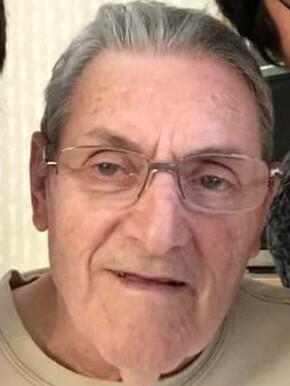 He is survived by his many Loving Grandchildren and Great Grandchildren who loved him and appreciate the life lessons and support he provided to them unconditionally. Ken will be missed by his Loving Step Children and their families. Relatives and friends are invited to a Memorial Service on Thursday, Sept. 6th at 6:30 PM at the Shawnee Baptist Church in Shamong, NJ. Funeral arrangements are under the direction of the Bradley & Stow Funeral Home, Medford, NJ. In Lieu of flowers; contributions can be made to the Shawnee Baptist Church, 303 Oak Shade Road, Shamong, NJ 08088. (www.BradleyStow.com).